Serenity UI Charts are built on D3.js to create powerful data visualization widgets. Serenity UI extends jQuery UI, the most popular jQuery-based widget library to provide you with a complete set of widgets to develop modern and highly interactive web applications. The Gallery demonstrates the implementation of Serenity UI widgets in real world solutions. 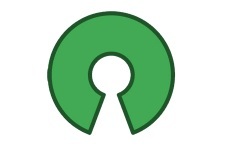 Open Source Integration. No need to re-invent the wheel. Serenity UI integrates with popular industry standard libraries to provide a complete framework for developing applications.